Orthocad is a new service that uses computers to make an indirect bonding set-up for bracket placement. Bracket placement is critical to any case. It is often done by hand placing each bracket. 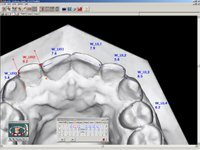 Indirect bonding has been around for several years. You basically make a plaster model from impressions of the patient's mouth. Brackets are placed on the model. 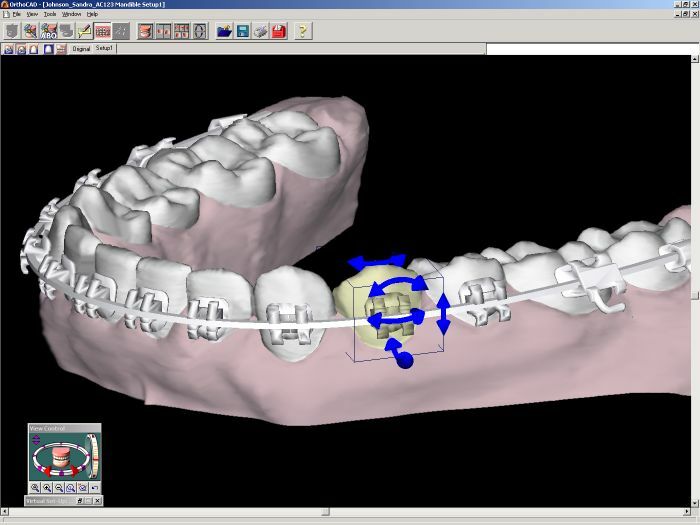 A transfer impression is made of the brackets, moving the brackets to the patient in a all at once bonding procedure. 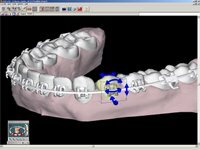 The idea is to get the best possible bracket positions and to take less time placing them (which is good for the patient as well). Nice informative blog for professionals. I hope everybody feels the same.